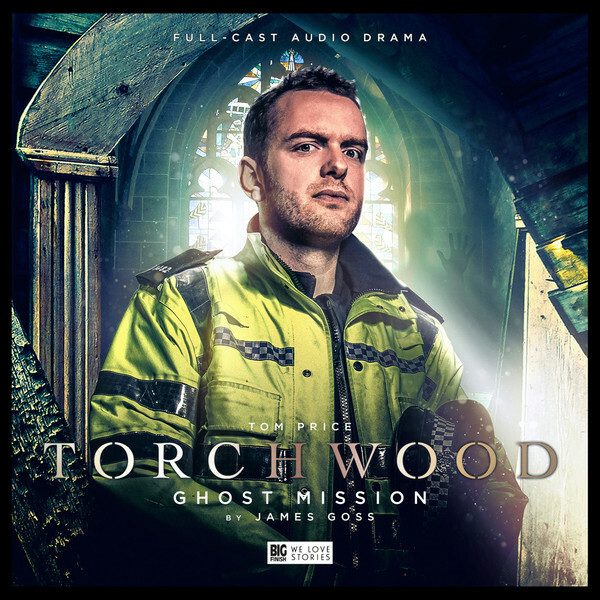 Big Finish: TORCHWOOD Ghost Mission Review | Warped Factor - Words in the Key of Geek. Capsule Review: Oh hell yes. Rucksack Review: After faffing about with strongly-accented Russians, Torchwood goes back to its roots and rips the roof off with dark funnies. Have you ever had the sensation that someone else is living your life? The life you were ‘supposed’ to have? Ever had the feeling that you missed your single window to being special, and brilliant, and somehow very important, and instead you’ve ended up being just…you? Welcome to the life of PC, now Sergeant Andy Davidson. He’s a ‘nice bloke,’ with a good friend who saves the world from aliens. They had similar assessment scores, similar careers, similar instincts – but then, one day, Gwen Cooper stumbled onto something that led her into Torchwood, and Andy Davidson didn’t. Ten years later, Gwen’s still saving the world, and Andy’s still…not. The Torchwood audios have run the gamut of the TV show’s many styles, and added a whole glorious element of their own – the out-and-out funfest that turns out to have serious undertones or underpinnings. We’re talking about episodes like Ianto Jones’ plummet to earth while on an insurance telesales call, Fall To Earth, and Yvonne Hartman’s night out in Cardiff, One Rule. If you enjoyed either of those, Sergeant Andy’s exploits when a Torchwood assessor from 1953 offers him the chance to try out for the team is absolutely for you. Like One Rule, it’s hugely Welsh, and probably if you’re familiar with the South Welsh mindset it’s more funny than if you’re not, but there’s much more to it that in-jokes for Welsh people. In the TV show, Andy Davidson was frequently used for comedy relief, but this story takes you much further into the reality of the man – and shows how Andy would deal with the weirdness with which Torchwood deals on a daily basis. To some extent, ten years on, Andy remains how Gwen began – resourceful, enterprising, but very much everyman, the typical listener’s window to a very unorthodox world, so yes, he gibbers and panics a bit as Norton Folgate, Torchwood assessor and soft-light projection, takes him through a situation that would be typical for Torchwood. But this story from James Goss shows us Andy in more detail, delivering a fast, fun, punchy hour of sort-of Torchwood with more purpose than you initially guess at. Yes, just like the previous release, Zone 10, this one manages to work in an evolution of the whole Torchwood Vs The Committee story – in fact, ultimately, the two are quite closely connected, inasmuch as the evolutionary elements delivered in Zone 10 show up in far more concrete ways here, and there are callbacks too to Forgotten Lives, one of the darkest and most creepy Torchwood Audios to date. Does Ghost Mission bring the scares? Wellll, not as much as some others, certainly, but the dangers are certainly real – Andy’s threatened by alien mimicky soup, dangled from rooftops, trapped in confined spaces, drowned, probed, cloned, threatened by a choir of actual ghosts and chased by a giant roaring monster, as well as meeting a bunch of creepy old people who smell of wee, as well as facing the potential humiliation of asking out a pretty girl in a café. But Andy Davidson is really Gwen Cooper without the decade of hard decisions and heartbreaking choices. He’s bright, he’s funny, and he’s really more intelligent than the TV Torchwood would necessarily let you know. Tom Price rises magnificently to the challenges of Goss’ script, bringing Andy Davidson to a new kind of life with all the complexity, intelligence and colour that the audio medium gives the scope to deliver. Certainly, if he was auditioning for future Andy Davidson adventures, he knocks it out of the park – more than some of the Torchwood regulars, Andy gives us an easy, accessible window into the world of alien gittery, by virtue of being as-yet-unhardened by the everyday battle. Samuel Barnett as Norton Folgate is an utter joy, the writing by Goss dripping in 1950s ballsy camp and Polari (the dialect used by gay men when being gay was a prosecuted crime in Britain), and Barnett delivering characterization by the bucketload – often irritating by virtue of his camp chirpiness, he’s the Hopkirk to Andy’s Randall, forcing him on to solve puzzle after puzzle, giving just enough of himself back to keep Andy interested, and pushing him on from a puddle of grocery-dissolving goo, to a facility full of vats (Vats, apparently, are never good. Ever), to a rooftop, to the most haunted church in Cardiff and the MacGuffin which pushes the Torchwood-Committee dynamic. Barnett and Goss together create a character in Folgate of which we could enjoyably hear far more (and apparently will do, according to the extras). While Ghost Mission is very much in the vein of these new extra-comedic Torchwood episodes like Fall To Earth and One Rule, there’s a compelling story here in both ‘battling aliens’ terms, ‘ongoing story-arc’ terms and most importantly in human, character-driven terms, with the humour of Andy’s unTorchwood reactions giving it a unique, bright breath of air most similar so far to More Than This (in which Gwen Cooper takes a local civil servant to work with her). So while there’s lots of character comedy here, there’s that dramatic underpinning that makes it much more than a throwaway hour of knockabout fun with the Torchwood wannabe. If you like your Torchwood shocking and jump-out-of-your-skin scary, you’ll be less impressed with Ghost Mission. But the actual vibe of Torchwood was more often mysterious with a ghastly dark twist than it was out-and-out scary, and if you like that kind of thing, there’s plenty to love about Ghost Mission. If you’ve been enjoying the funnier stories too, Ghost Mission is a fabulous banquet. And if you like going beneath the skin of frequently underused characters, Ghost Mission will give you a gorgeous hour of pure pleasure. Get to know Sergeant Andy Davidson better – he’s more than a nice bloke, after all.